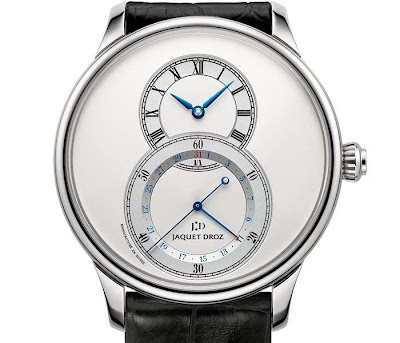 The Grande Seconde dial has been linked to the Jaquet Droz name since it was first created in 1785. 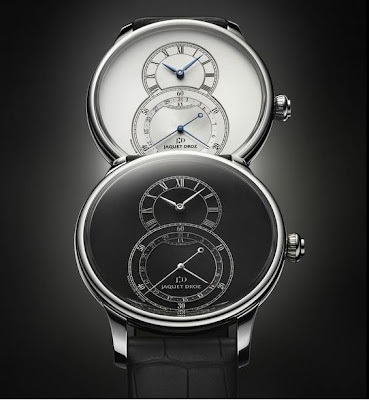 The hours and minutes are positioned at 12 o’clock with a large seconds subdial at 6 o’clock, the two interlock to form the highly auspicious number 8. The dial has not changed in 300 years. 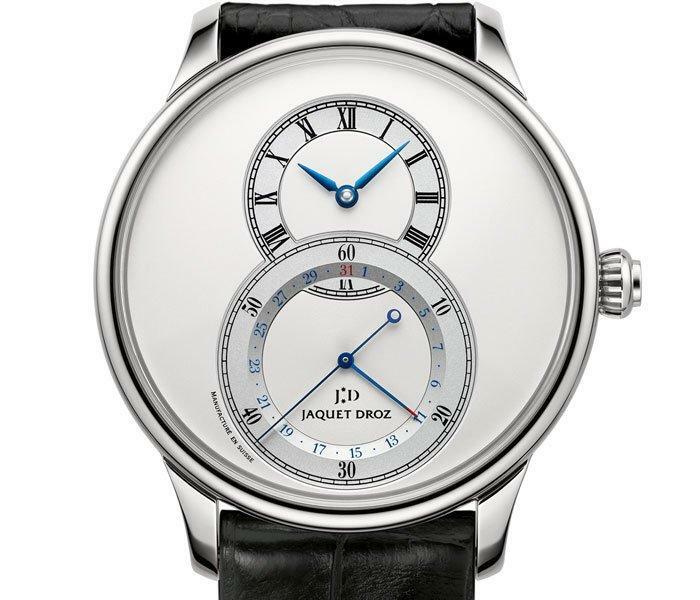 New for 2011 is the Jaquet Droz Grande Seconde Quantième. This is the first time that the brand has offered a steel watchcase with which to encase the Grande Seconde dial and is the launch of two stunning black dials. One of features fine-brushed finishing on the indications. 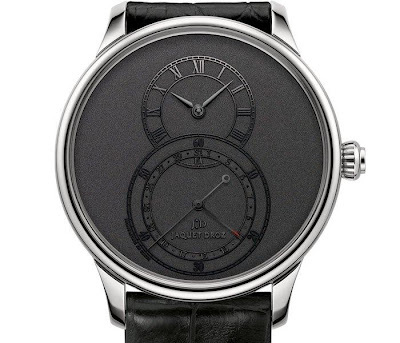 An extremely subtle red varnished tip on the pointer hand of the date indication contrasts with these new black dials. Applied to watchmaking for the very first time, this process involves crafting all of the dial components from solid metal, then dipping them in a chemical bath to obtain a perfect black coating. This extremely painstaking operation brings out the beauty of the indicators, which can have a fine-brushed finish, creating a unique interplay of light and textures.